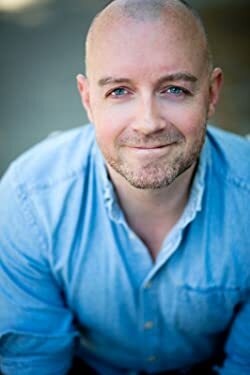 Nicholas Eames was born to parents of infinite patience and unstinting support in Wingham, Ontario. 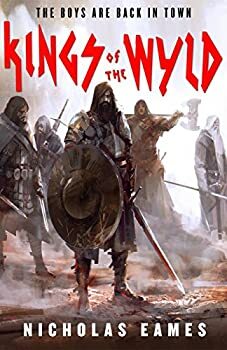 Though he attended college for theatre arts, he gave up acting to pursue the infinitely more attainable profession of ‘epic fantasy novelist.’ Kings of the Wyld is his first novel. Nicholas loves black coffee, neat whiskey, the month of October, and video games. He currently lives in Ontario, Canada, and is very probably writing at this very moment. Click here for more stories by Nicholas Eames. When Clay Cooper returns home from work to find his old friend, Gabriel, waiting on him, he knows something is wrong. He learns that Gabe's headstrong daughter has run off to be a mercenary and ended up in a city besieged by an overwhelming horde of monsters. Gabe is now desperate to get their "band," Saga, back together and go save her. Saga used to be the most famous mercenary band ever. Tales of Slowhand Clay, Golden Gabe, Arcandius Moog, Matrick Skulldrummer, and Ganelon are still told in the pubs throughout the kingdom to this day. 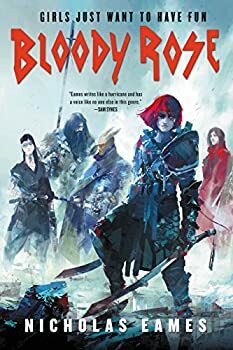 On the face of it, Bloody Rose (2018) is a lot like Kings of the Wyld, the first novel in Nicholas Eames' THE BAND series: it's still following the original's fun premise (i.e. "questing bands are basically just rock bands, complete with touring and groupies"), and it boasts much of the same humor, heart, and hard-rock-cafe sensibility. It also carries on the tradition of being, you know, awfully good. But there are some notable changes lurking under the surface. Bloody Rose is the kind of sequel that tries to go bigger and darker than the first, the Empire Strikes Back to the original's Star Wars. And I'm happy to say it's quite successful.